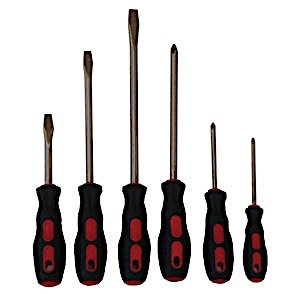 6 piece screwdriver set includes standard 5/16" tip with 3" blade, standard 7/16" tip with 6" blade, standard 25/64" tip with 8" blade, and No. 1, No. 2, and No. 3 phillips screwdriver.